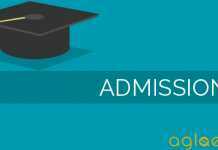 Sanjay Ghodawat University, Kolhapur Admission 2018 is notified as per the official declaration. The Sanjay Ghodawat University (SGU) is established in the Academic Year 2017-18. It is established as a State Private University under Govt. of Maharashtra Act No. XL of 2017 dated 3rd May 2017, with the approval of the UGC and the State Government. The SGU offered the various courses such as in the field of the school of technology, commerce & management, science, liberal arts and education at different levels such as the UG, PG & P.hD. The Sanjay Ghodawat University Admission 2018 are strictly merit-based. All the required information regarding the admission process, Eligibility criteria, important dates etc are mentioned below. 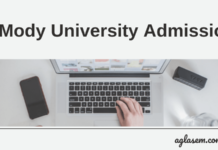 Here, Applicants can find all the desired details about the university and its admission process. Latest: Online Registration for SGU CET 2018 Admission has been start. Candidates can apply for it. The schedule for the Sanjay Ghodawat University Admission 2018 has been announced on its official website www.sanjayghodawatuniversity.ac.in. The SGU has constituted its own Academic Council, Academic Advisory Committee, Finance Committee, Library Committee, Department of Graduate Committee, Class Committee, Evaluation Committee, Marks Finalization Committee, Mal-Practice Committee etc. All the details regarding the admission will be notified to you as per the declaration of dates. The Application form for the Admissions 2018 is available online on its official website. 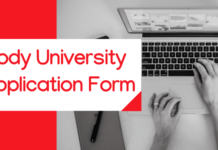 In order to take admissions in the SGU for the academic year 2018-19 candidates required to fill the Application form. It was basically the first step towards the SGU Admissions 2018. The candidate required to fill the desired basic details. Applicants can check the desired information regarding the admission procedure which is mentioned below. The Sanjay Ghodawat University offered the various programmes such as the UG programmes, PG programmes as well as P.hD Programmes. B. Tech. in Computer Science and Engineering. B. Tech in Electrical and Electronics Engineering. B. Tech in Electrical Engineering. B. Tech in Electronics & Communication Engineering. M.Tech. in Mechanical Engineering (Manufacturing Technology). M.Tech. in Mechanical Engineering (Design). M.Tech. in Civil Engineering (Construction Engineering & Management). M.Tech. in Civil Engineering (Structural Engineering). M.Tech. in Computer Science Engineering. Ph. D. in Mechanical Engineering. Ph. D. in E & TC Engineering. Ph. D. in Computer Science and Engineering. 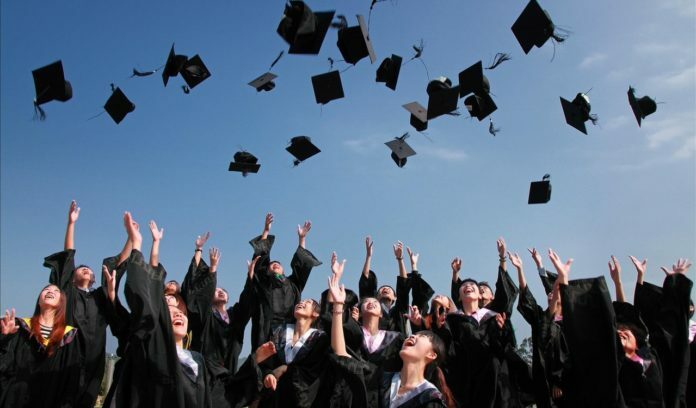 The SGU sets the minimum criteria for each and every course provided by the university. Applicants may have a look at the eligibility criteria details of each program which are mentioned below. The Sanjay Ghodawat University Admission 2018 follow the certain procedure in order to attain the best results. Applicants are advised to read the following instructions carefully. The obtained score of National level Entrance Test conducted by Sanjay Ghodawat University, Kolhapur (SGUEE). In case if the identical score of any of the above test, percentage of marks in the qualifying examination will be considered to finalize the merit. Seats for the admission in Sanjay Ghodawat University, for the students belonging to reserved category, will be as per the policy of the State Government Maharashtra. Out of the total approved intake capacity, 70% of the seats shall be reserved for the students having domiciled in the state of Maharashtra and 30% of the seats shall be reserved for all India candidates. Sanjay Ghodawat University, Kolhapur Admission 2018 will declare the results of the entrance exam which will held on July 22, 2018. Candidates will be able to check it once the exam is conducted. The Admissions in the university will be made strictly on the basis of merit. For more details regarding the Sanjay Ghodawat University Admission 2018, candidates can check the Information Brochure.